Around Australia, stories of hope, vision and determination prove that community-owned development is transforming lives every day. Each Aboriginal and Torres Strait Islander community we work with has a story worth sharing. 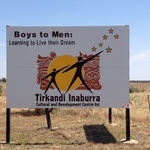 Blokes on Track is a group of men who have big ambitions to address some of the significant challenges facing Aboriginal people and communities in Central Australia. 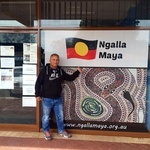 Ngalla Maya is a not-for-profit organisation located in Perth WA, designed to reduce Australia’s disturbing Indigenous incarceration rate and bring about positive change within the prison system. Meet Tea, aged 11 and Belle, aged 8. 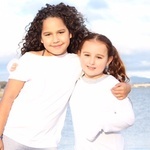 These two budding entrepreneurs have teamed up to create a socially conscious business with support from their parents and ICV. 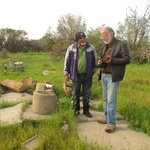 The now abandoned Littlewell Reserve has a rich history and significance to the local Aboriginal people who lived there until the early 1970s. With the Gold Coast Commonwealth Games set to commence in April 2018, the State Government has been on the lookout for cultural tourism programs as part of its regional events initiative. 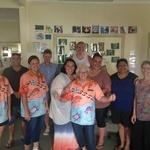 Guramaa Global Indigenous Corporation has developed a number of unique learning programs that will embed into the curriculum of the schools in Wreck Bay. Enabling and encouraging students to aspire, and focus on a career of their choice. 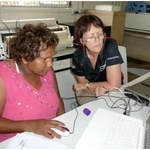 enVizion is the only Aboriginal and Torres Strait Islander run training provider in the region. The aim of the group is to break the generational unemployment cycle with specialised pre-employment, mentoring and training programs. A sad reality is that Aboriginal and Torres Strait Islander women are 34 times more likely to be hospitalised due to family violence when compared to other Australian women. And the rate is even higher in WA’s Pilbara region. The Larapinta Trail through central Australia is one of the seven Great Walks of Australia and is noted as one of the top ten walks in the world. 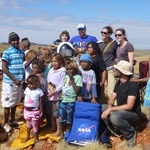 ICV volunteer Danielle recounts the day she and Martu school children had a chance encounter with NASA as they prepared for a mission to Mars. 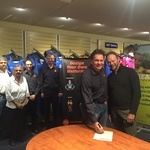 Located in the northern NSW town of Casino, the program is called Toys Change Lives (TCL) and is open to young men who have been released from youth detention. Participants are taught the basics of woodwork then supported and encouraged to create wooden toys and furniture. 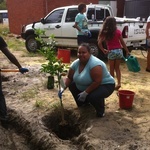 The Numbulwar community was looking to engage their youth more in community life and provide them with skills and confidence for potential job opportunities. 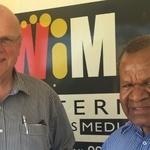 Mulga Mail is the only Aboriginal and Torres Strait Islander newspaper in Western Australia and has built a strong reputation as a reliable source for local news, positive stories and important issues. 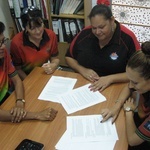 Aputula Aboriginal Corporation (AAC) implements initiatives to promote healthier lifestyles for the remote Aputula community. 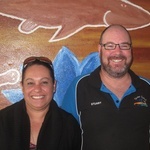 Recently AAC took on the management of a community building to facilitate a range of health-focused membership programs called the ‘Aputula Aboriginal Achievers Club’. 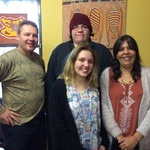 In the heart of the beautiful Blue Mountains, west of Sydney, the Aboriginal Cultural Resource Centre (ACRC) provides much-needed services for the local Aboriginal and Torres Strait Islander community. 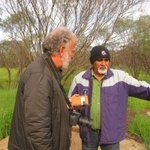 For the past year, ICV has been working with the Dharriwaa Elders Group based in Walgett, NSW. 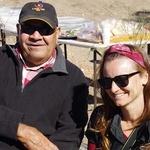 The Group aims to support Aboriginal Elders to resume leadership roles in the community, keeping active and healthy, and to promote local Aboriginal cultural knowledge and identity. 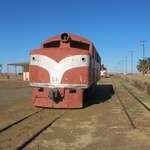 At the junction of the famous Oodnadatta and Birdsville Tracks, some 680 kilometres north of Adelaide in the beautiful Flinders area, lies the little town of Marree. 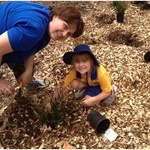 The Wiluna community wanted to ensure that their children would be strong learners. 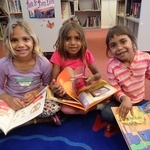 To meet the community’s goal, Wiluna invited IVC to assist them in reviving the school library. 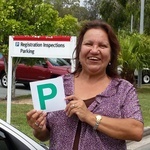 Many people dream of the day they pass their driving test. It’s their ticket to independence, and it can open so many doors to economic opportunity and social inclusion. A new local business partnership with a national charity will increase opportunities for Aboriginal and Torres Strait islander people. Yara Custom Wear provides quality work wear, corporate and sport uniforms to business, government and sporting organisations Australia-wide. 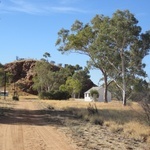 Kurrawang is a self-governing Aboriginal community close to Kalgoorlie, 600km East of Perth. ICV has been working with Kurrawang since 2013. 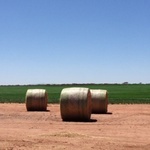 Our first collaboration was to improve the community’s financial stability. 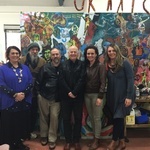 Baluk Arts is a non-profit Aboriginal arts organisation owned by Aboriginal artists from Frankston, the Mornington Peninsula and wider south-east Melbourne. 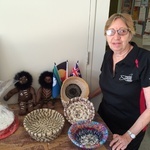 Through Baluk Arts, family groups and members of the Stolen Generation have reconnected with their culture and can express their histories through strong artistic practices that support their cultural and creative wellbeing. Nanima Village is a former mission on the outskirts of Wellington, between Orange and Dubbo in NSW. It was the first inland Aboriginal mission and is Australia’s longest continually operating reserve. 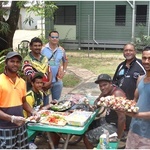 The Village is managed by the Wellington Local Aboriginal Land Council (WLALC) and its members have an ambitious vision to restore it to its former glory. 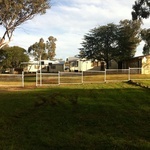 Coobabla Farm is a beautiful 650 hectare mixed farming property in WA. Owned by the Woolah Wah Land Aboriginal Corporation (WWLAC), it is an important base for the Coobabla Farm community and future generations. 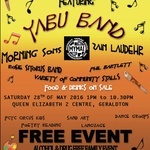 Midwest Yamaji Music Aboriginal Inc (MYMAI) is a non profit organisation based in Geraldton WA. 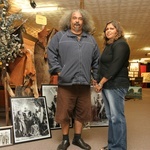 MYMAI showcases Indigenous artists and creates opportunities for the artistic development of young people in Geraldton. 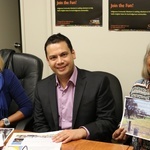 Ngunnawal Aboriginal Corporation (Ngunnawal Community Care) is a registered charity dedicated to advancing the interests of local Aboriginal and Torres Strait Islander people. Since 2013, ICV volunteers have been helping staff and community members achieve their goals. 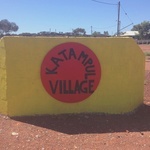 Katampul Aboriginal Corporation (KAC) manages a small village of several families in the town of Leonora, north of Kalgoorlie. A shortage of housing led ICV volunteers to help scope renovations of run-down dwellings, which helped KAC secure funding to complete the work. 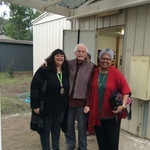 Healesville Indigenous Community Services Association (HICSA) provides a range of vital services to the community in and around Healesville, Victoria. Architect and ICV volunteer Noel recently helped renovate an old metal workshop which is now being used as a year-round art space and gathering place. 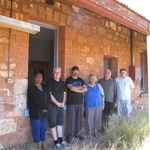 The Gerard community is a small, resourceful Aboriginal-controlled local government area in The Riverland, South Australia. ICV volunteer Pete has been designing a fantastic new website which will help Gerard community market its hay. 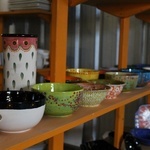 And he’s passed on valuable skills to community members who can now maintain their website and promote their products. 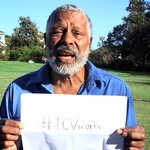 Join the #icvworks campaign to show your support for ICV! Ngalla Maya is a not-for-profit organisation which aims to reduce the number of Aboriginal people in custody in Western Australia. Its programs target at risk youths and help people being released from prison to reintegrate successfully into society. Jarjum Centre, a 20 place non-profit Preschool for Aboriginal and non-Aboriginal children in Lismore, NSW, is bursting at the seams. In 2015, Jarjum Centre reached out to ICV for help with the design of the new Centre. Menzies is a small mining and pastoral town in WA’s Eastern Goldfields, an eight hour drive east of Perth and home to around 235 people. 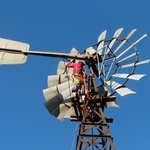 It is a growing destination for tourists who come to see the famous Lake Ballard Sculptures. But limited accommodation means that few visitors stay and appreciate the rich history of the town. 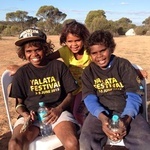 Dumbartung (meaning “We of the people”) is a Perth-based grassroots community organisation committed to supporting the healing of Nyoongah people through cultural initiatives that strengthen spiritual identity and belonging. Over the years it has attracted famous visitors including Bob Dylan, the Dalai Lama and Johnny Cash. Living in a remote area can have its challenges, particularly when good local transport options are hard to come by. With a bold vision and desire to help their community, John and Kitty Tabuai took matters in to their own hands, and a thriving local business was born. 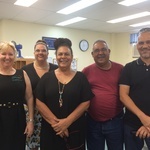 Girudala is the only Indigenous-controlled organisation providing much-needed community services in Bowen and surrounding areas in northern QLD. ICV volunteer Ross has been helping review the effectiveness of its programs, and pave the way to a successful, sustainable future. My name is Rosemary and I am an Aboriginal woman from Richmond, NSW. I’m also a volunteer with ICV, so when you make your donations, it’s people like me you are sending around Australia to help communities in need. 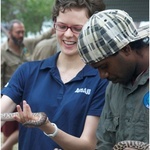 Numbulwar is a small, primarily Aboriginal community on the Gulf of Carpentaria. Its remoteness means the community has to rely heavily on its own resourcefulness and resilience. 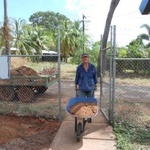 Veteran ICV volunteer Allen has been sharing his skills and experience helping Numbulwar locals build infrastructure and restore important sites in the community. 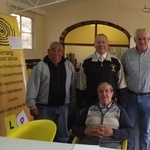 Wellington Local Aboriginal Lands Council (LALC) has a big vision, but facing tough times and in receivership for more than six years, its very survival was in doubt. ICV volunteer Ian stepped in to help Wellington LALC turn its fortunes around. ICV uses this beautiful ‘Honey Ants’ design widely in our communications and publications. 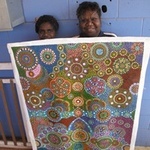 Permission to use the artwork was given to us by Rowena Lynch, an artist from the Eastern Arrente, whom we met while working with the community of Santa Teresa, 80km north of Alice Springs. 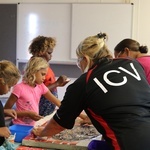 The KPMG report Economic and Social Impacts of Indigenous Community Volunteers (ICV) Activities endorses the value of the ICV model of invitation and local empowerment to achieve social and economic impacts. Kerrie Anderson, a Visual Arts school teacher from the Gold Coast of QLD, is a keen supporter of ICV. So much so that she recently decided to get involved in a more hands-on way. On the outskirts of Mingenew, a small town 100km south east of Geraldton in WA, lies a significant Aboriginal Reserve called Littlewell. 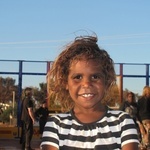 It has a rich history of connection, belonging and hardship for many local Aboriginal families. 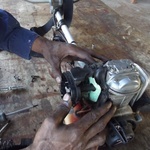 "Mirror Mirror on the Screen"
Locals are delighted to have learned new skills, extended the life of their vehicles and reduced the cost of motoring in a remote community. 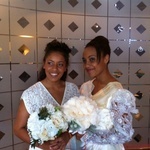 Fifteen young women were able to showcase their new skills at a successful inaugural Yester Year Bridal Parade. When Nyikina Mangala Rangers asked ICV for help to complete of their ranger base at Jarlmadangah, ICV volunteer Ian jumped at the chance. 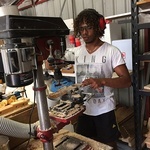 He spent a month in the remote community teaching the Rangers valuable construction skills. Together they installed two storage containers and built a huge shed to protect them from the harsh WA sun. In October 2014 ATT held its first women's healing camp on the traditional country of the APY Lands in northern South Australia. 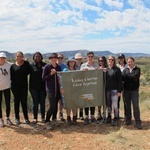 The camp offered women a unique opportunity to visit traditional Anangu lands and experience the culture and traditions of Ngangkari spiritual healing practices which have been in use for over 60,000 years. 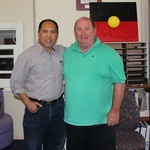 The Yurauna Centre at the Canberra Institute of Technology (CIT) offers a place for Aboriginal and Torres Strait Islander students to seek support and guidance. In late 2012 Caroline Hughes, Director at the Yurauna Centre, asked ICV to help with a tutoring program for its students. 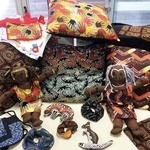 Ngallu Wal Aboriginal Child & Family Centre, in the Doonside area of suburban Sydney, is leading the way in building partnerships which focus on social inclusion and connectedness for local Indigenous people. 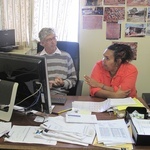 ICV has a long standing relationship with Dubbo Local Aboriginal Land Council (DLALC) which began back in 2008. Since then, ICV volunteers have helped in many different ways. 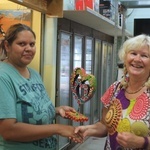 Arts and crafts are a traditional and time-honoured way for people to express themselves and their culture. 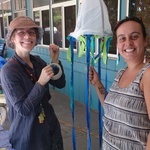 For Aboriginal and Torres Strait Islander people, art is also a communications tool for passing on cultural identity and knowledge from one generation to another. And it’s an important source of income for many communities. The story of the Tjuntjuntjara people is one of resilience and determination. The community is part of a larger group known as the ‘Spinifex People’. The Three Sistas housing initiative, based in Cairns, was the brainchild of social entrepreneurs Janet Guthrie and Stuart Wright. Since 2011 it has been providing affordable housing to people in crisis and transition. ‘MAWONGA’ is a sprawling 22,350 hectare property to the north of Hillston, New South Wales. It is located on traditional country of the Ngiyampaa people and holds enormous cultural significance. Ngukurr is a large community some 300km south east of Katherine. When local men approached ICV seeking assistance to run a small engines training and maintenance program, volunteer, Ken jumped at the opportunity. 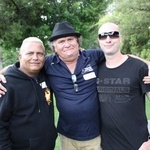 The Murray Districts Aboriginal Association (MDAA) was established in the late 1970s in Pinjarra, a small town in the Peel region of Western Australia. ICV has had the privilege of working with MDAA for the past three years. Over this time we have seen MDAA navigate its way through stiff opposition, complex challenges and institutionalised racism. Bulman Women’s Centre has been operating for a while now with many local women involved in different activities. They are understandably very proud of their centre and its programs which enable women to build their skills in different areas. 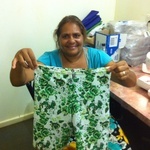 So when centre coordinator Jill approached ICV with an idea for a sewing program, ICV was delighted to get involved. 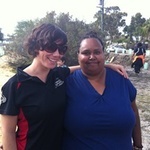 Women play a very important role in Aboriginal and Torres Strait Islander communities. Creating a culturally supportive environment in which they can explore issues that affect their lives and discuss the needs and wants of their communities is key to creating positive, lasting change. Hi, I’m Peter, and I’d like to share my most recent experience with you because I know it will inspire you as much as it did me. You see, when we work together, we can help Indigenous people in amazing ways. 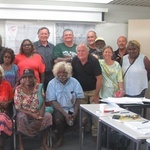 ICV is working closely with the remote communities of Punmu and Jigalong to improve adult literacy and numeracy levels, as part of a long term relationship with communities in the Martu Lands, WA. Indigenous people the world over play an instrumental role in managing and enhancing the natural environment. 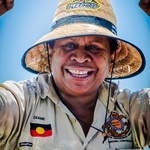 Australia’s unique Kimberley Ranger Program is a leader in the conservation of heritage resources by combining the wisdom of Elders with modern resources. Palm Island is an Aboriginal community within Great Palm Island on the Great Barrier Reef in North Queensland. Its natural endowments and breathtaking beauty make it a classic ‘tropical paradise’, but it is not without its problems. 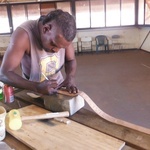 The Yolngu people of Arnhem Land in the Northern Territory are resourceful and visionary. And helping make their vision a reality is something ICV is delighted to be a part of. Community gardens can be an important ingredient in bringing people together, and bridging cultural divides. 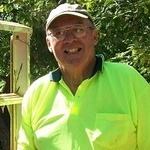 Bob lives with his wife in Culcairn, NSW. He is involved with Rotary, listens to infants reading twice a week, visits an aged hostel and plays lawn bowls. 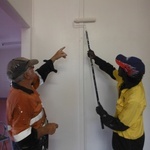 And in his spare time he shares his plumbing knowledge and skills with Indigenous communities through ICV projects.